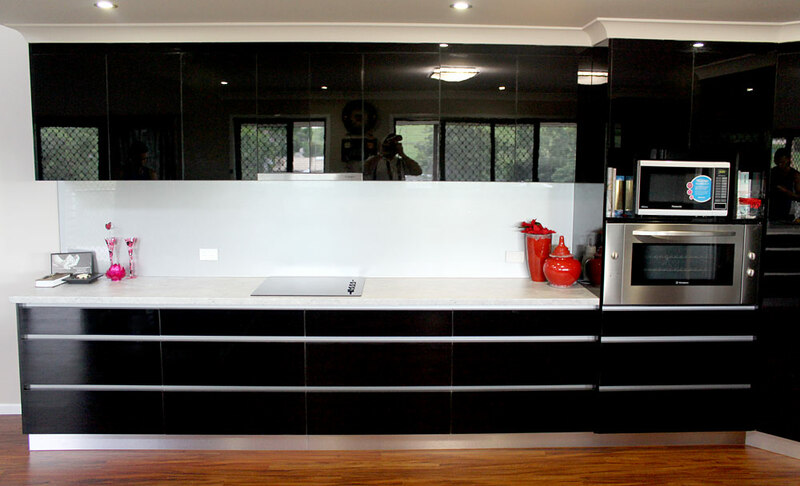 When spaces are large we can really concentrate on style to enhance the look and feel of areas of your house. 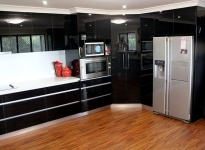 Here we had a lovely big kitchen to work in. 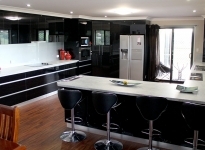 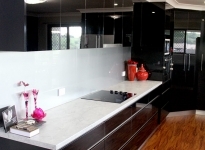 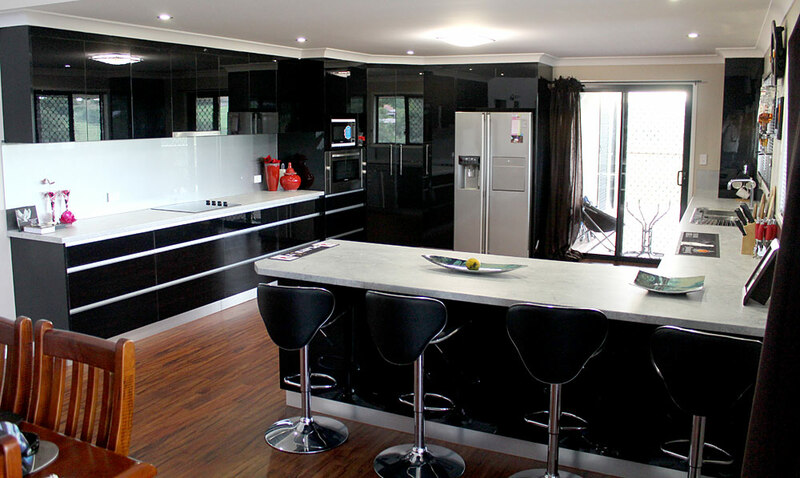 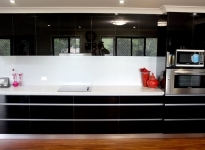 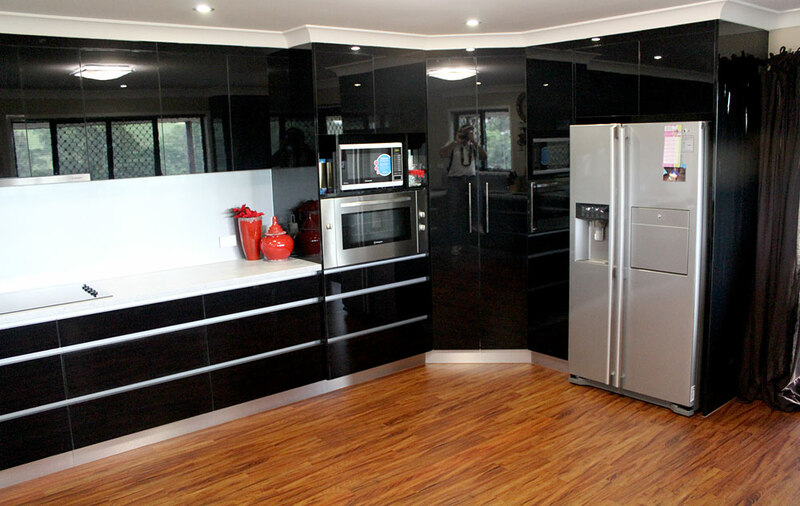 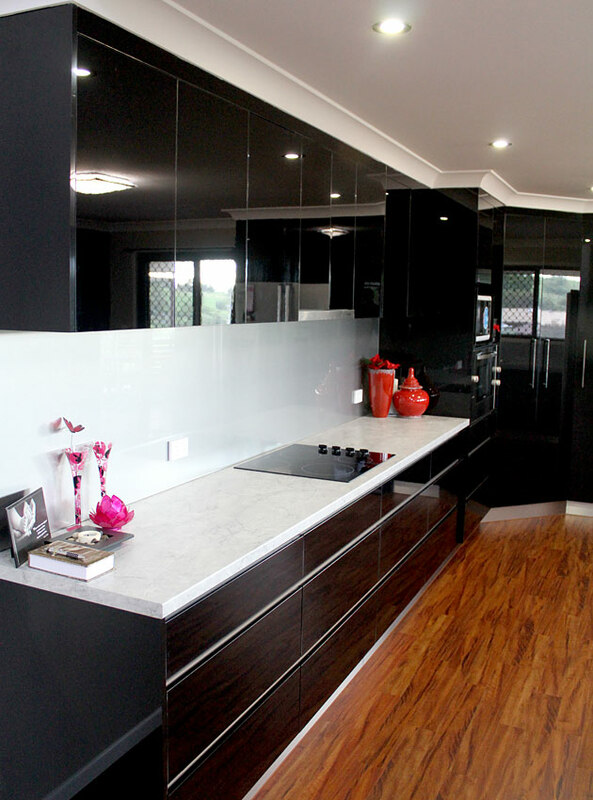 We used high gloss black finish in conjunction with large white marble bench tops, for great contrast. 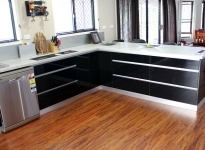 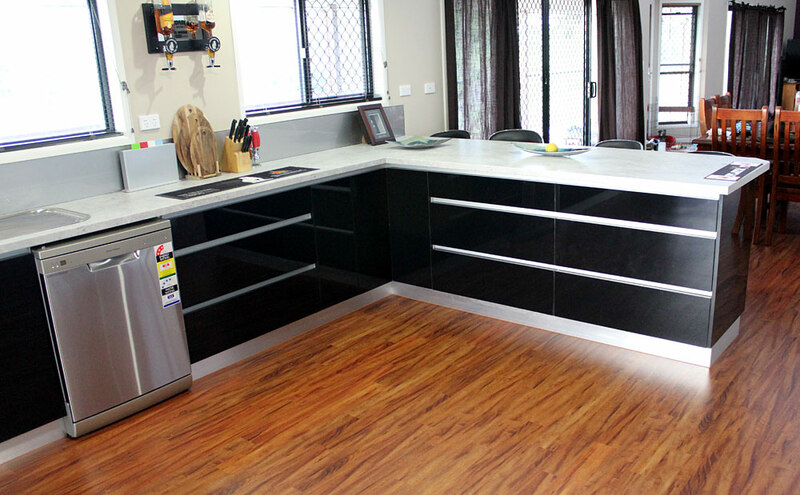 A very attractive, highly liveable and functional area with lots of storage was the result.